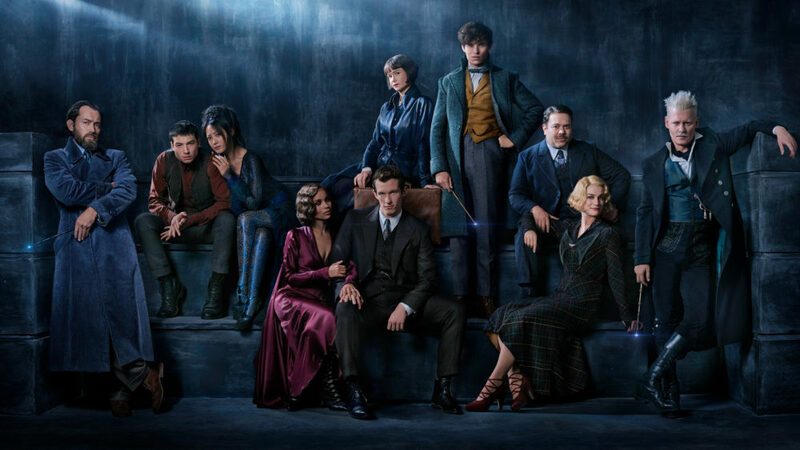 Earlier this month, fans got an inside look at Fantastic Beasts: The Crimes of Grindelwald — and the internet did a collective groan as it was confirmed, thanks to a cast photo, that Johnny Depp would be returning to play the titular Gellert Grindelwald. Depp had a brief cameo in the first film when it was revealed that Colin Farrell’s Percival Graves was actually Grindelwald in disguise. Warner Bros. has been under scrutiny since last year, when the actor’s casting was first announced, due to domestic violence allegations against him made by his ex-wife, Amber Heard. After the cast photo revealed Depp’s continued inclusion in the The Crimes of Gindelwald — especially in the wake of the ongoing conversation surrounding the cycle of abuse by powerful men in Hollywood — many fans took to Twitter to share their disgust. Now, David Yates, the director of both Fantastic Beasts films, is speaking out about Depp’s casting and what he has to say…isn’t great. Calling the allegations against Depp a “dead issue,” Yates cited Depp’s exes — including Winona Ryder and Vanessa Paradis — who came out in defense of the Murder on the Orient Express actor during his divorce from Heard. Yates comments are particularly problematic in that they not only downplay the very serious allegations by Heard, they belittle the fact that anyone coming forward with allegations is one person too many. Heard and Depp’s acrimonious divorce was settled in 2016, with the actress donating her $7 million settlement to the ACLU — to be used for cases involving survivors of domestic violence — and the Children’s Hospital of Los Angeles. Harry Potter creator and Fantastic Beasts screenwriter J.K. Rowling — who has generally been a vocal supporter of the women coming forward regarding allegations of abuse — hasn’t yet commented on the pushback against Depp’s casting, aside from being “delighted” last year. While Yates has made it clear that he doesn’t want to talk about Depp’s casting anymore, he still has a long road ahead as The Crimes of Grindelwald, which is currently filming, is set to be released on November 16th, 2018.